I am rather intrigued what The Girl is going to be like, a BBC film based on the making of The Birds. 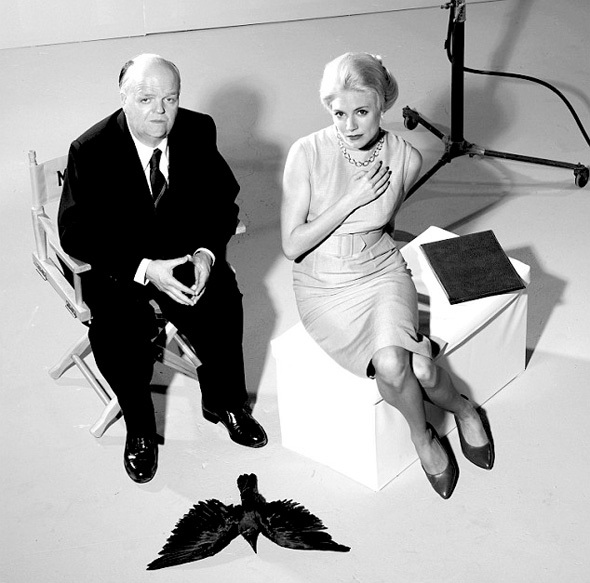 Toby Jones is a very talented actor, and it will be fascinating to see how he will portray Hitchcock and Sienna Miller is to play Tippi. Ooh, I hadn't heard about this. It looks v interesting. Have to keep an eye on the schedules! i didn't recognize her... interesting..
Ooooh how exciting!!!! Can't wait to see what it will be like! I havent heard of this project but I am certainly intrigued! I hadn't heard of this but now I'm intrigued, too! Thanks.